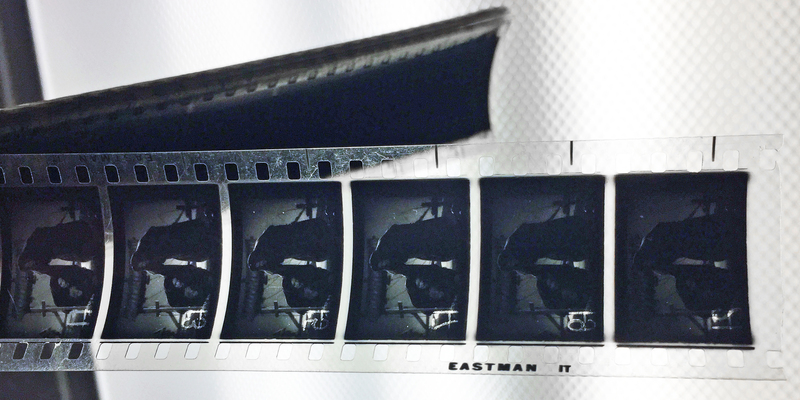 Seemingly innocuous artifacts left behind after the cinematographer's untimely death are now in the ASC Museum collection, and offer interesting insight. 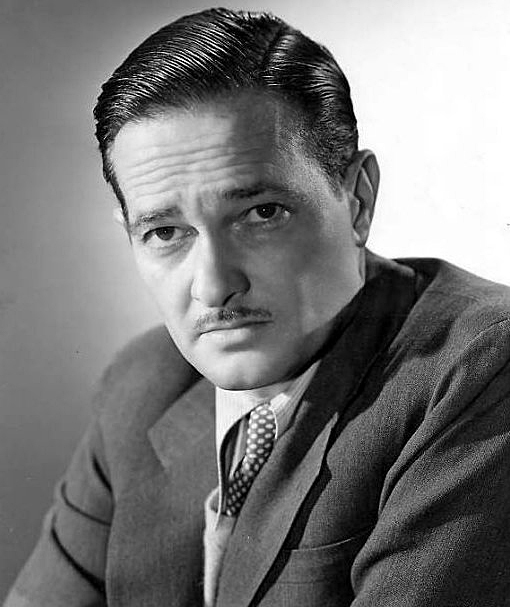 Despite the brevity of Gregg Toland, ASC’s life and career, his artistry and technical innovations resulted in an influential and memorable legacy — notably as a result of photographing such classic films as Wuthering Heights (1939), The Long Voyage Home (1940), The Grapes of Wrath (1940), Citizen Kane (1941) and The Best Years of Our Lives (1946). 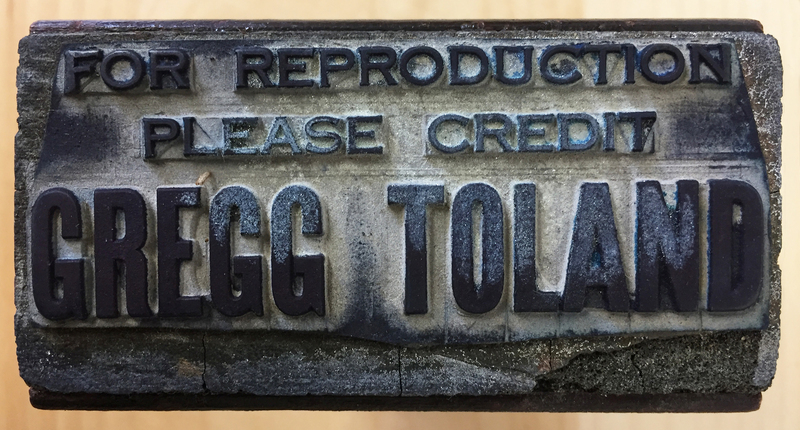 The American Society of Cinematographers was recently entrusted with a small collection of personal items belonging to Toland, who died in 1948 at the age of 44. They were donated by his daughter, Lothian Toland Skelton. While we cannot present every single object from the collection here, this selection covers each category or type of item represented — some of which are informative and of genuine historical value, while others are simply fascinating curios as they were owned and used by an artist of Toland’s stature. 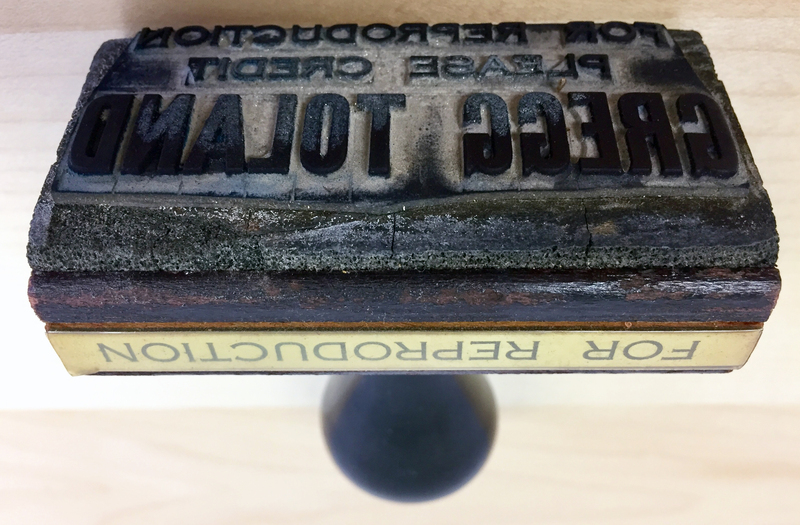 One example is this simple rubber stamp, which Toland presumably had made for use in marking photographs. Nothing in the ASC’s Toland collection was marked with this stamp, but, yes, it’s incredibly interesting. Fortunately, however, a number of other items have far more to say about their owner. 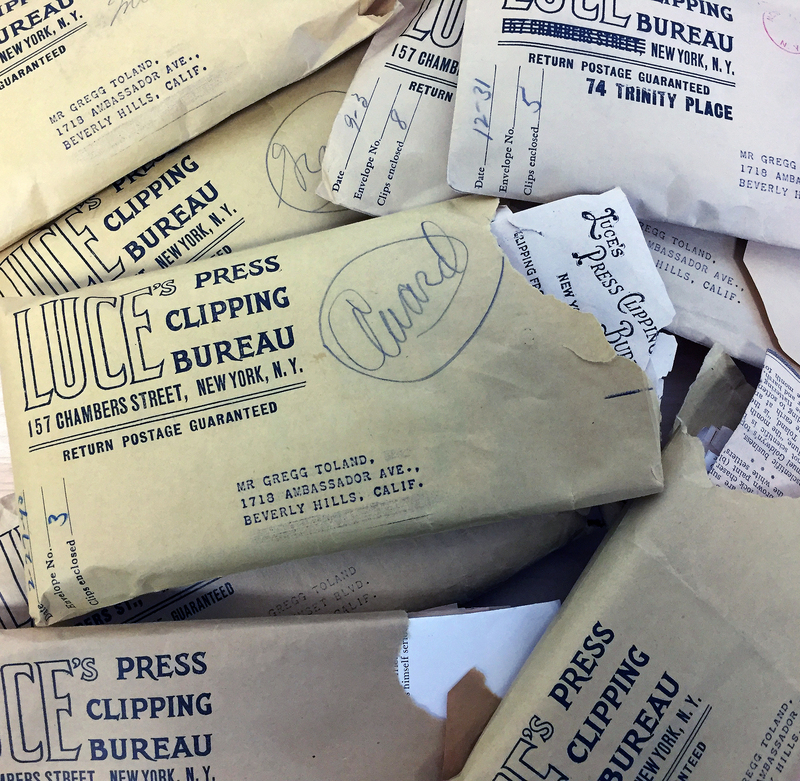 Long before the Internet put the world’s information at our fingertips, individuals who wanted to track their media profile would subscribe to a newspaper clipping service, which scoured periodicals from around the country for any mention of their clients. 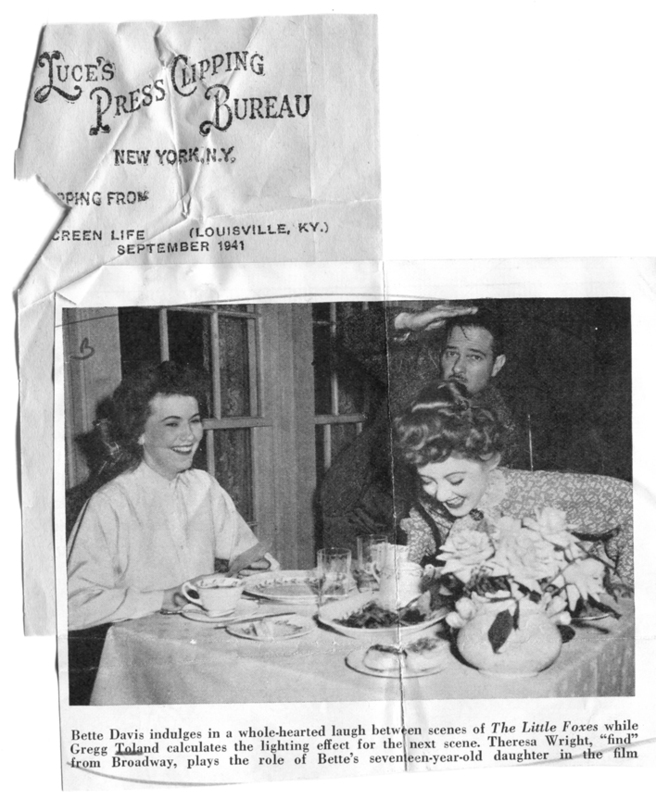 Clearly wishing to document his career trajectory, Toland subscribed to Luce's Press Clipping Bureau in New York City, which would mail him a monthly packet containing newspaper and magazine articles that contained even the most minor mention of the cinematographer — mostly in reviews of the films he had shot. 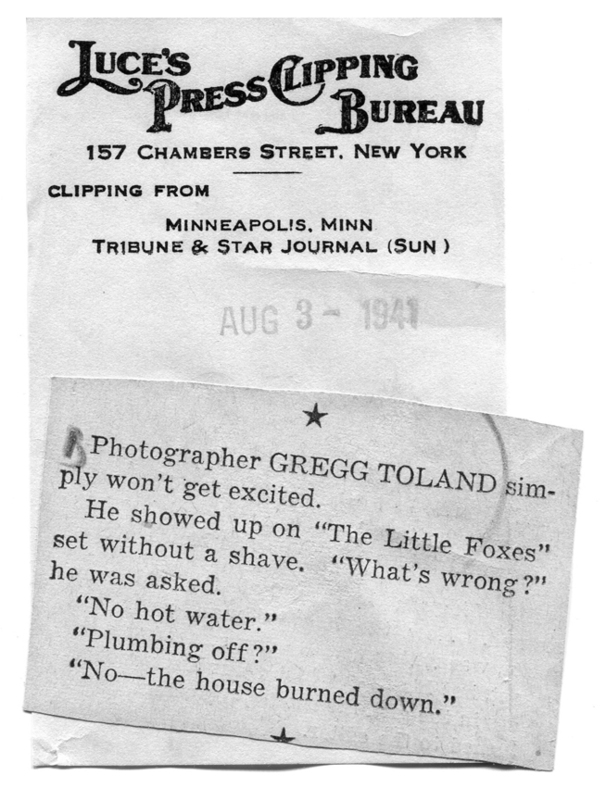 Dozens of these packets were included among Toland's belongings given to the ASC, each of which contained numerous clippings. While it will take a considerable amount of time to examine each, the examples below are interesting as they are either actually about Toland or include quotes from him. They reveal an artist who was serious about his work, but also had a sense of humor. 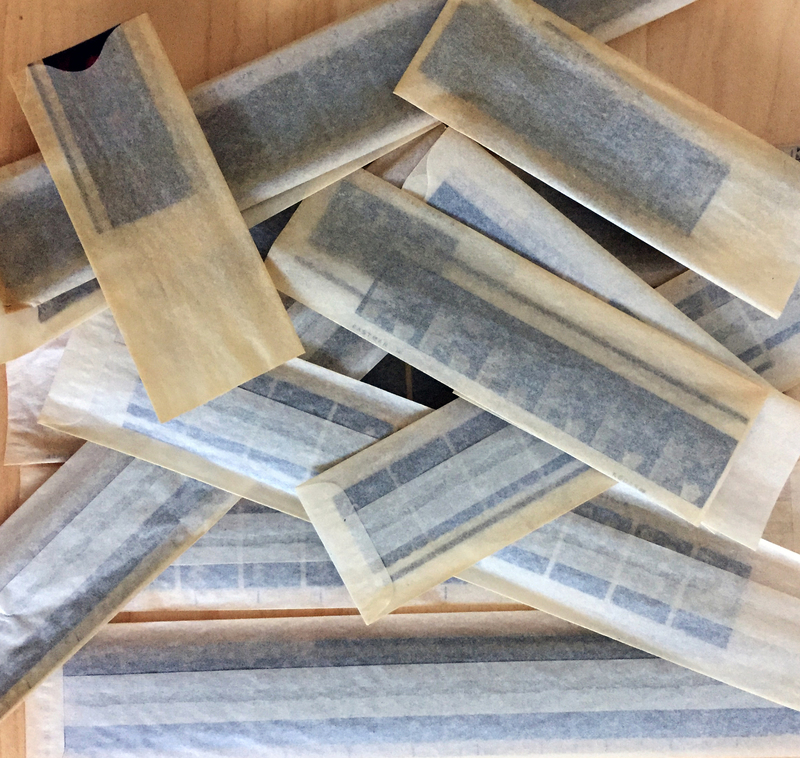 A small brown paper bag contained a large number of Cinex film test strips used by Toland during various productions to clearly observe the effect of lab printer lights on his images. Some were taped together at the end in batches, creating sort of visual reference booklet that Toland could presumably keep handy in his pocket for immediate access whenever needed. 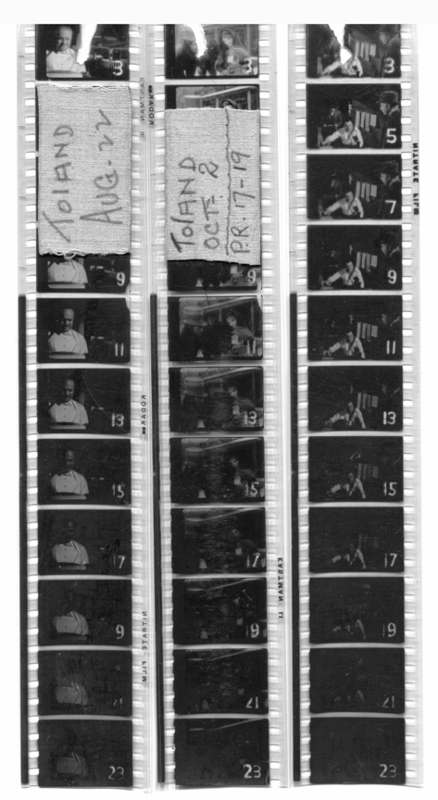 While far more research will have to go into identifying the films depicted in these Cinex strips (the example above is one such mystery), a cursory examination revealed at least three made during the filming of Citizen Kane. Shooting the classic Citizen Kane (1940), Gregg Toland, ASC can be seen crouching directly below the camera, while Orson Wells directs from a wheelchair at right, recovering from a leg injury. 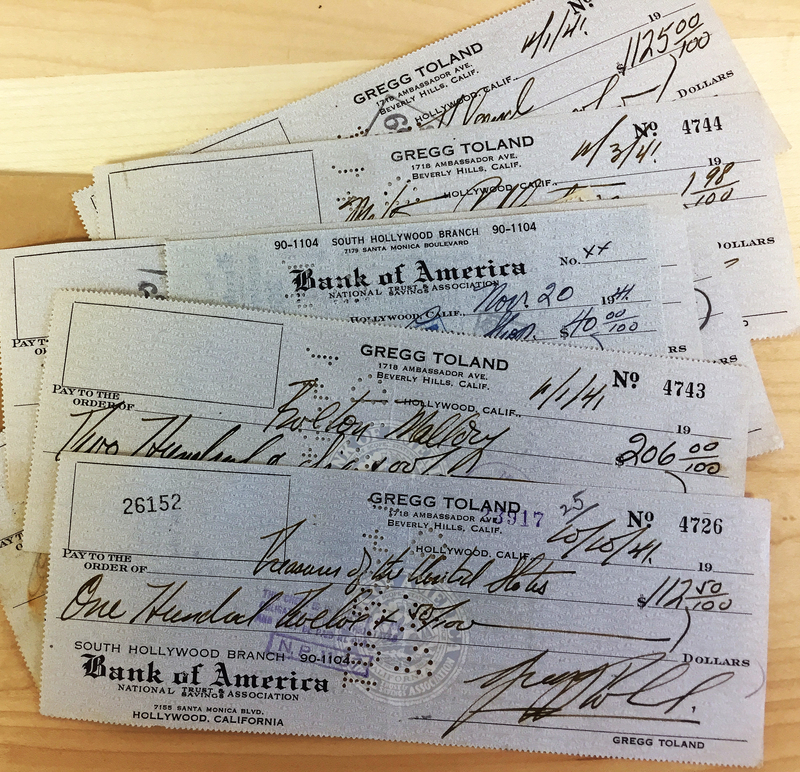 An envelope full of Toland's cancelled personal checks was included in the collection. 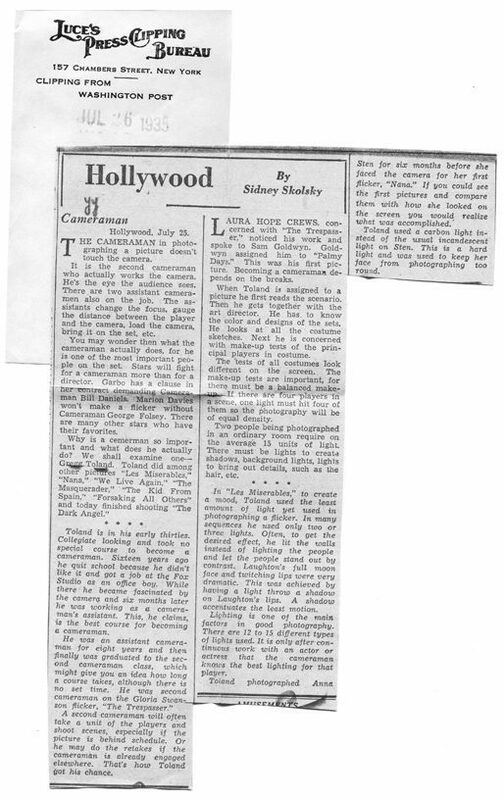 Most are of little interest — a $206 check to actor Burton Mallory, another $112.50 paid to the U.S. Treasury, a few to such famous Hollywood eateries as Chasen's and The Brown Derby — but a $5,500 check made out on November 5, 1941, to director and close friend Howard Hawks caught our eye. 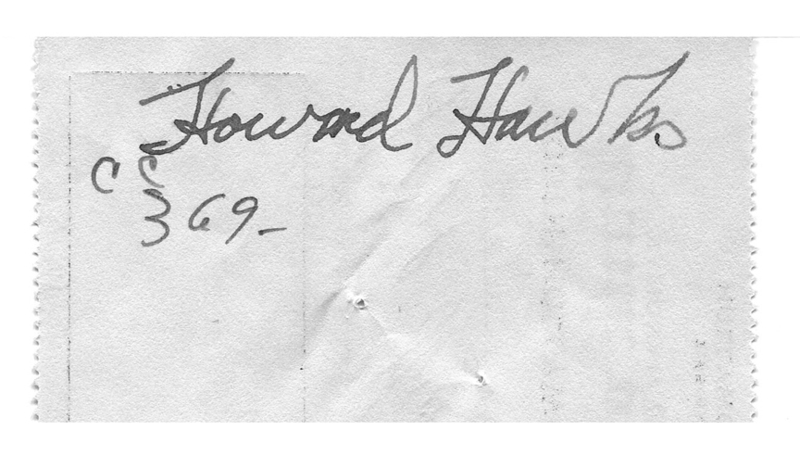 Not only is the amount considerable — approximately $90,000 in today's money — but the document features the signatures of two of the great filmmakers of their day, if not all time. Could this have been repayment for a personal loan from the director, as Toland's home had been destroyed by fire just months earlier in August? 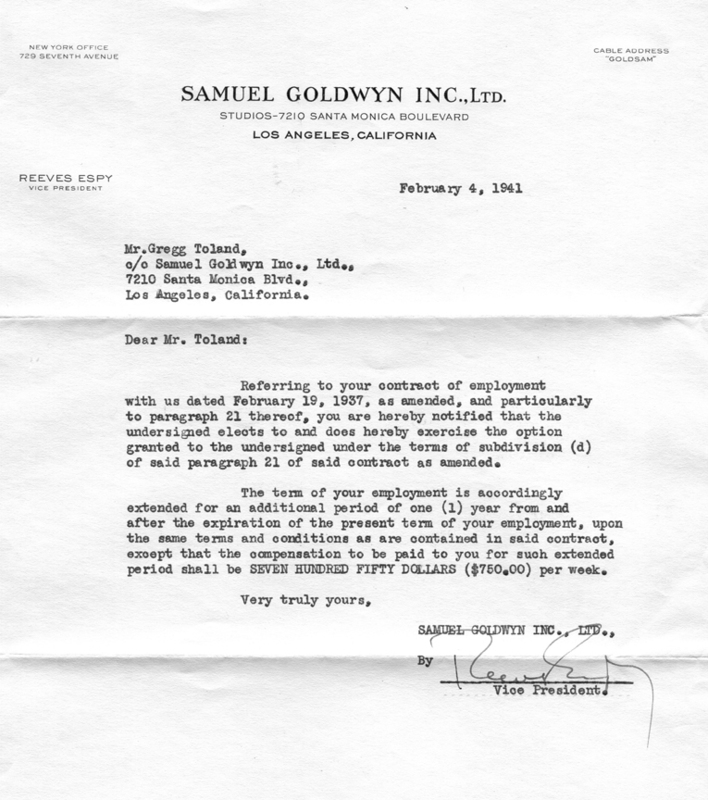 Only a few examples of Toland's correspondence were included in the collection, including the following letter from Reeves Espy, vice-president the Samuel Goldwyn Company, dated February 4, 1941. It notes that the cinematographer's studio contract was being extended for another year. [Samuel] Goldwyn first became aware of Toland when Laura Hope Crews, a dialogue coach, observed him at work as the 2nd cameraman on the Gloria Swanson vehicle 'The Trespasser'. Crews told Goldwyn, "That young man should be a cameraman. He's got the makings of a great one." Barnes asked producer Goldwyn to give Toland equal billing as co-cinematographer on 'The Trespasser' and eight subsequent productions. His first solo credit was for the Eddie Cantor musical 'Palmy Days'. Espy had been at Goldwyn for years and probably knew Toland very well — or at least his employment contract. 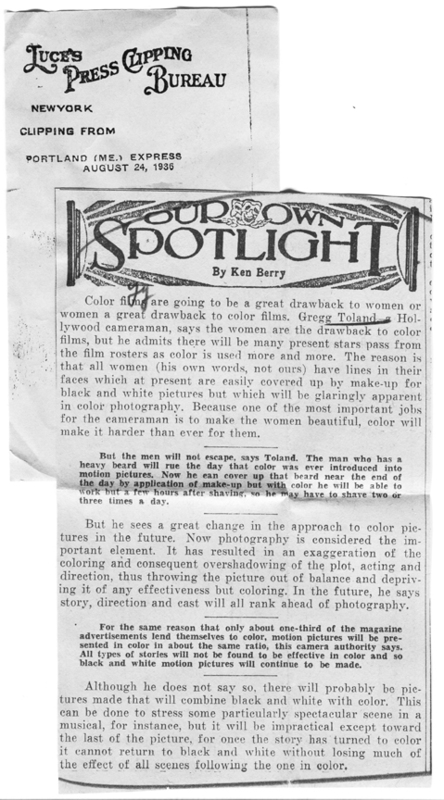 The cinematographer's $750 weekly salary would be approximately $12,250 in today's money. 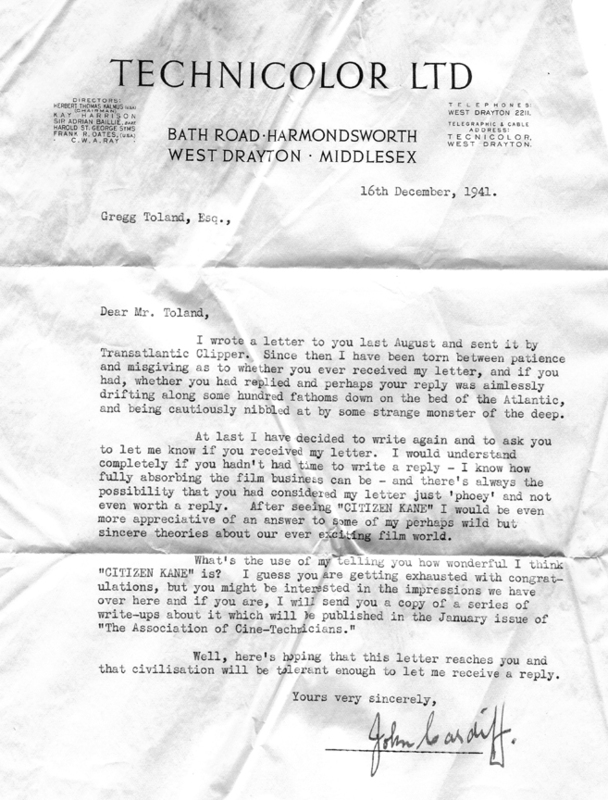 The suggestion that Toland's possible reply to Cardiff's pervious "Transatlantic Clipper" air mail letter was lost at sea and "nibbled at by some strange monster of the deep" perhaps makes light of German U-boats prowling the Atlantic at the time. The U.S. entered World War II mere weeks earlier. 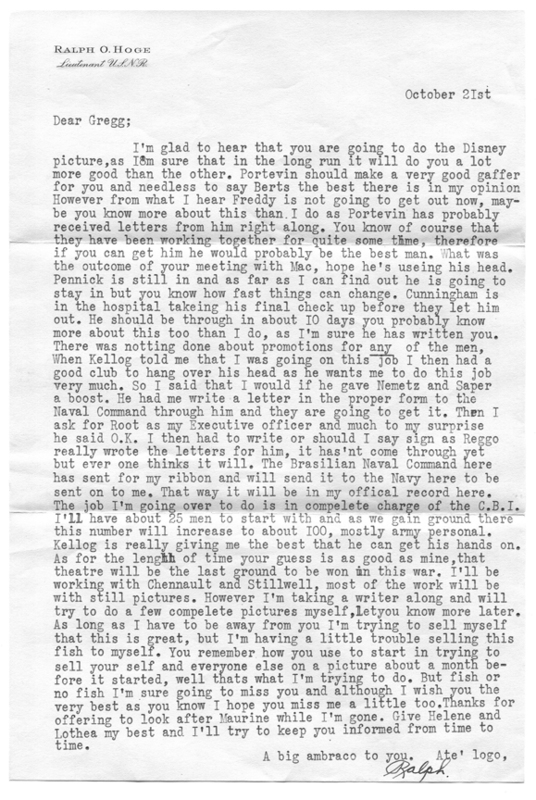 Written on October 21 of (probably) 1944, the following letter from close friend Ralph O. Hoge — who before the war worked with Toland as a grip on films including The Grapes of Wrath and Citizen Kane, and would later re-team with him on The Best Years of Our Lives — makes mention of the "Disney picture" Toland was shooting at the time. Hoge is referring to the studio's controversial Reconstruction-era-set musical Song of the South (1946), for which the cinematographer shot live-action Technicolor sequences that bookend extensive animated passages. The project was a departure for the Toland, and it became one of the last films in his short career. Hoge's mention of "working with" U.S. generals Claire Lee Chennault and Joseph Stillwell places him in the Pacific Theater, possibly India, China or Burma. Like Hoge, Toland was a lieutenant the U.S. Naval Reserve during the war, working as a cinematographer and camera designer for the Photographic Unit. This led to his only directing credit, on the documentary December 7th (1943), which he also photographed. (Producer John Ford was credited as co-director, after filming additional sequences.) The picture won the Academy Award for Best Documentary, Short Subjects in 1944. The American Society of Cinematographers will keep the Toland items in its permanent collection, which is housed at the ASC Clubhouse in Hollywood. This report will be updated when possible as further examination and study is made. We would welcome any further insight or information regarding these items. 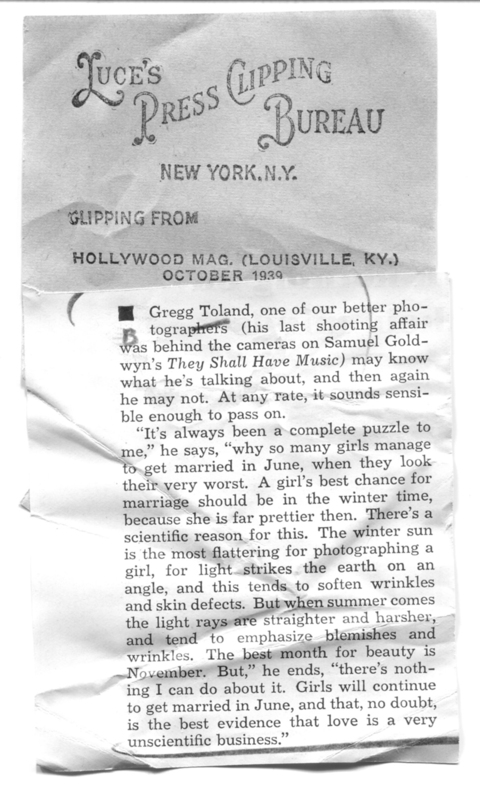 A detailed look at Toland’s brief-yet-influential Hollywood career can be found here.